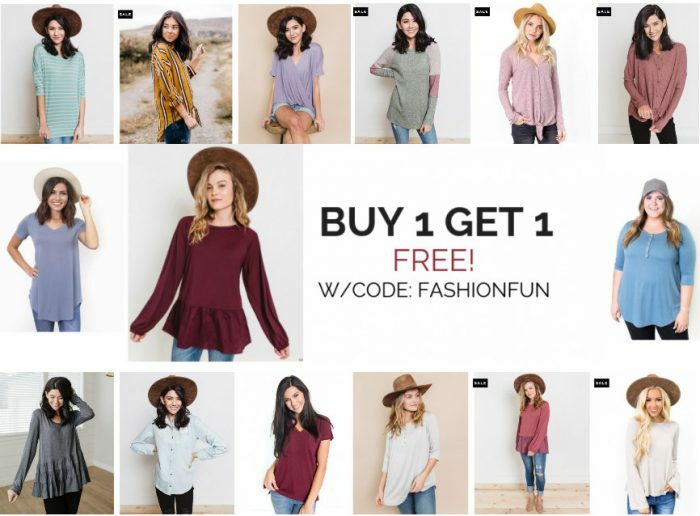 Cents of Style: Buy One Get One Free Tops + Free Shipping! Wahoo!! Cents of Style is one of our favorite boutique sites. Their clothing is top quality and SO CUTE! This is a super SWEET sale! Right now you can get Buy 1 Get 1 Free on all of these super cute tops over at Cents of Style! Plus, as always, shipping is free!